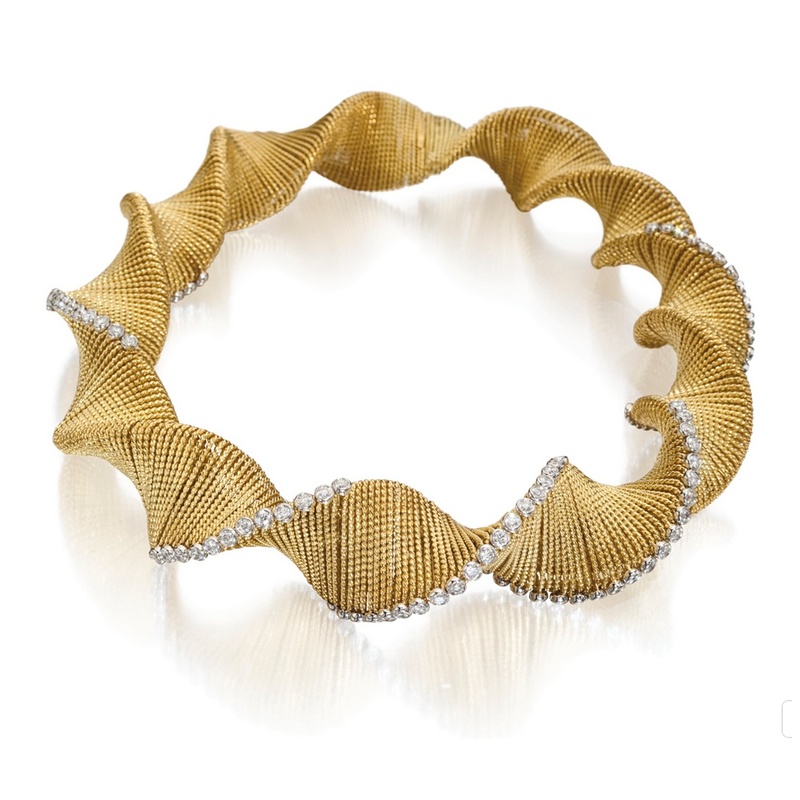 Happy Saturday with this twisted gold collar by Valentin Magro. 18 karat two-color gold and white diamond necklace. Sold recently in Sotheby’s. Feliz sábado con esta pieza de Valentin Magro. Collar con dos oro de 18 quilates y diamantes blancos. Vendido recientemente en Sotheby’s. Entrada anterior Girl with a RENOVATED pearl earring!